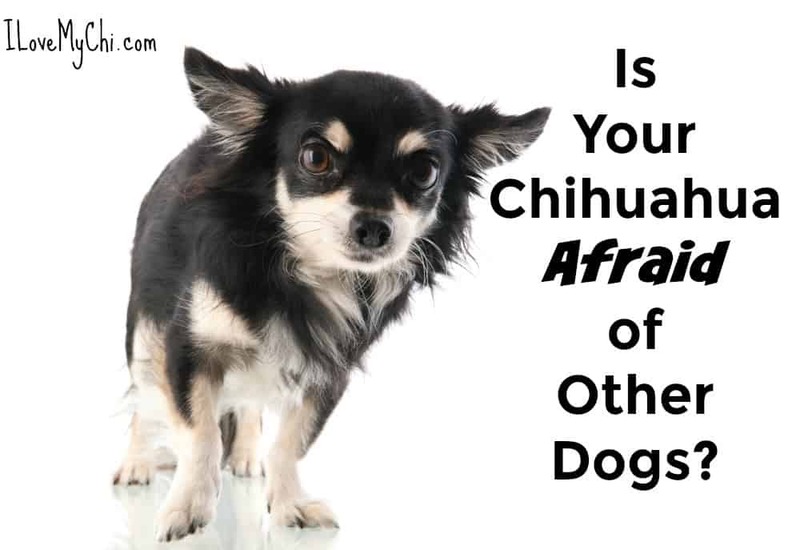 Is Your Chihuahua Afraid of Other Dogs? | I Love My Chi I Is Your Chihuahua Afraid of Other Dogs? % Is Your Chihuahua Afraid of Other Dogs? You are here: Home / Chi Training / Chihuahua Behavior / Is Your Chihuahua Afraid of Other Dogs? Is Your Chihuahua Afraid of Other Dogs? 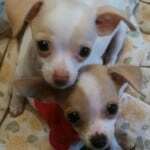 Anyone who has experience with Chihuahuas knows what spunky little dogs they can be. But under certain conditions they can seem nervous, even terrified – cowering, trembling, whimpering. Some of this may be due to the temperament of the individual dog, of course. But we also have to look at this from a common-sense point-of-view. Chihuahuas are mighty small! The tiniest standard dog breed, in fact. So the world that we live in and subject our dogs to can seem intimidatingly large to them. So can other dogs. Chihuahuas’ relations with other breeds and mixes is a tricky subject. Some experts believe that Chihuahuas have a natural preference for their own breed, coupled with a suspicion and tendency of dislike toward other types of dogs. Although most Chihuahuas are pretty confident by nature, being the smallest dog in the room can make them fearful. They might then over-compensate by becoming aggressive. What looks like aggression, could actually be fear, or it could be a genuine alpha-dog moment. In either case, it should not be tolerated by the pet parent, and it is an unwise move for the dog. A larger dog is very likely to get the better of a Chihuahua in a confrontation, and could even unintentionally injure it during friendly rough-housing. 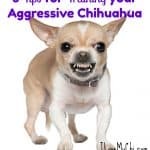 If your Chihuahua shows signs of fear and/or aggression around other dogs, you need to assess the situation and ask yourself a few questions. Is your Chihuahua a singleton? 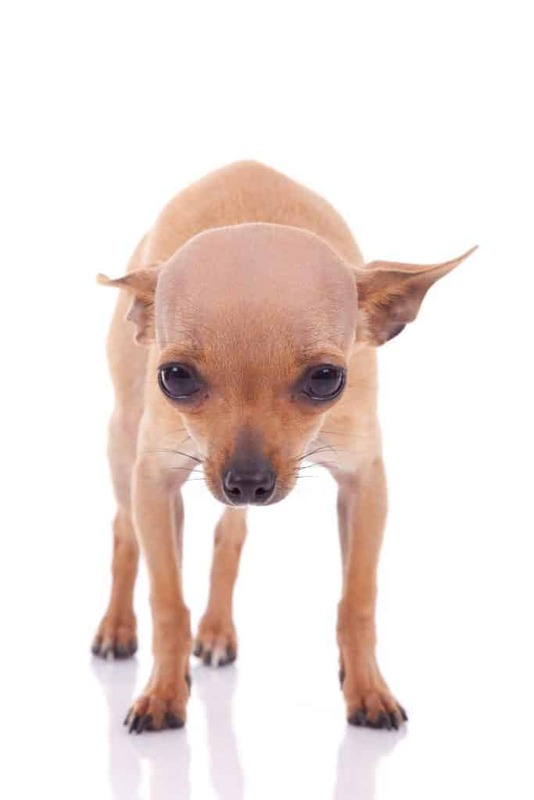 A Chihuahua from a single-dog household might simply lack familiarity with other dogs altogether, and could even be fearful of other Chihuahuas. If this is the case, the solution might be as simple as gradual socialization, perhaps beginning with an introduction and playtime with another small dog. 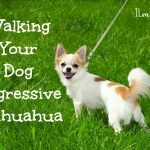 Has your Chihuahua had a bad experience or encounter with another dog? If your Chihuahua was adopted as an adult, of course, you may never be able to know this. But the possibility must be respected. These little dogs have long memories, and some fears are justified. Don’t force your Chihuahua to interact with a Doberman! Sometimes you have to let the dog decide. Is your Chihuahua generally a little fearful in unfamiliar situations or away from the “home turf” of your house or apartment? In this situation, reassurance is the key. 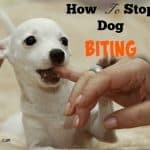 Although you do not to pick up or console a Chihuahua every time it has a nervous reaction, you do need to remain sensitive and loving at all times and to look at things from the dog’s point of view. 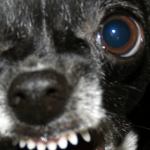 Never scold or punish your Chihuahua for being fearful; that will only make matters worse. Obviously, aggression is another story, but even there, be firm without freaking out. Ultimately what is most important in handling any canine behavioral problem is always the same: Training your dog well, which means that it recognizes your leadership and submits to your caring control. Chihuahuas are wonderfully loyal companions. They are little dogs with big hearts. With the right approach, you can get them used to other dogs and make them feel more comfortable in what must seem to them like a very oversized world. Poor girl! She does sound like she’s terrified Carol. My Chi is 11 pounds of Great Dane! She is an instigator, and will snap at other dogs. She is not mean, but her demeanor is, so she gets to be the Alpha. She is always on a leash while walking, because of her attitude. Yep, your chi is more the normal Susan. Most of them think they are much bigger than what they are. Hi my pup is a Chihuahua Beagle mix and is almost 5 months old. I’ve had him since he was 9 weeks old. He has no problems with kids or adults and will cry for attention from complete stranger when out. But when it comes to other dogs his mister tough guy barking but his tail is wagging and then he will wine for the dog once the dog goes away. He won’t let the dog smell him but he will get close to smell the other dog. Any tips as to socializing him with other dogs.